Buddhist monks perform many important services for lay people. 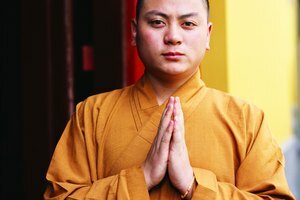 Those who dedicate their lives to the monastic tradition are integral to Buddhism. They are known as monks, or, collectively, as the Sangha. 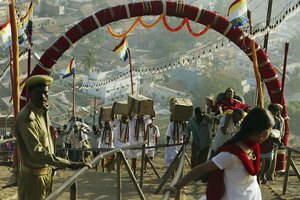 They perform important tasks for lay people -- practitioners of the faith who have not been ordained -- such as officiate at marriages and give religious guidance. Since Buddhism is so rich and diverse, not all monastic orders adhere to the same hierarchical structure. A Theravada monastery in Sri Lanka will be vastly different than a Zen Buddhist temple in Ohio, for instance. 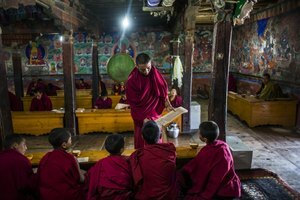 There is some general order within Buddhist monastic life: Outside the monastery walls are the lay people, while inside are the monks. Lay people, or laity, are those who follow Buddhism but have not been ordained. Laity people follow the five precepts, which provide direction for discipline of body and speech. Since Buddhist monks take vows of poverty and dedicate their lives to religious pursuit, they are dependent on the laity for things such as food, clothing, and medicine. 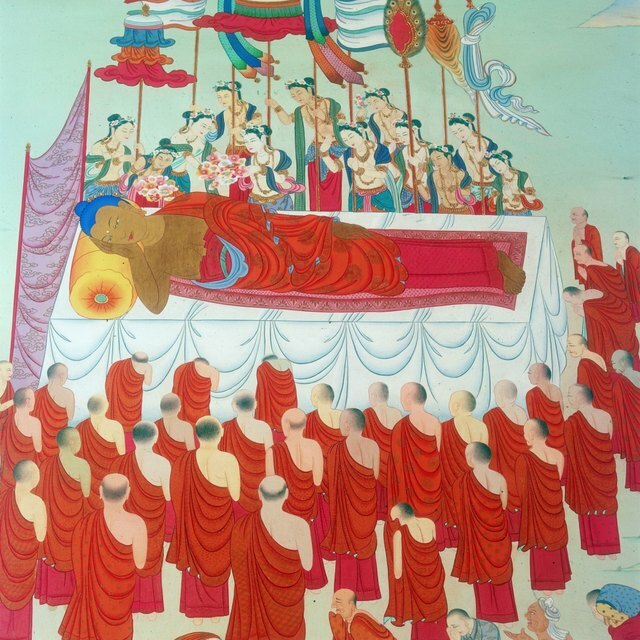 In return, monks provide religious services at weddings, birthdays, and funerals. Additionally, laity earn merit for their charity. There are many branches of Buddhism throughout the world. 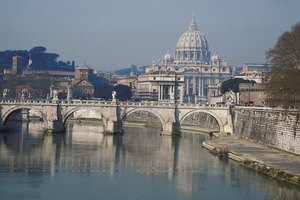 Each branch functions differently and has its own unique monastic structure. In Japanese Zen temples, the Roshi is the spiritual head, while there is another head monk in charge of the business of running the temple. In Thai Buddhism, the monastic order is broken down into 62 ranks. Generally, Buddhist monks can be split into two main groups: novice monks (or samanera) and bhikkhu. A novice monk, or samanera, is one who has been accepted into the monastery but has not yet undergone higher ordination. Samanera vow to follow the ten precepts, receive a new name, and have their head shaved by other members of the monastery. While samanera follow many of the same rules as full-fledged monks, they are still ranked beneath full monks until they go through the higher ordination procedure and become a bhikkhu. A bhikkhu is a fully ordained monk within the Buddhist tradition. 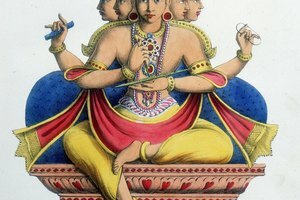 In addition to the ten precepts, a bhikkhu must follow the teachings of the Vinaya. There are many strict rules regarding conduct with the laity that a bhikkhu must follow, such as not taking anything not offered, and avoiding lewd conduct or speech with a woman. A bhikkhu performs many ceremonies for lay people and does important work within the monastery. Kelly Schrock graduated with her Bachelor of Arts in English from Washington State University in 2012. Her writing has appeared in "The Monarch Review" and the "Salmon Creek Journal," where she received the 2012 editor's choice for prose. What Is a Wiccan High Priest? Schrock, Kelly. "The Levels of Buddhist Monks." 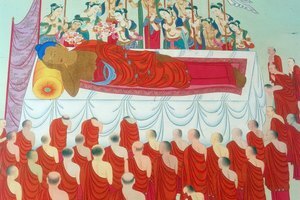 Synonym, https://classroom.synonym.com/the-levels-of-buddhist-monks-12087037.html. 29 September 2017.